The rehearsals for the Caamora Norway production of Clive Nolan’s musical “King’s Ransom” have begun. In February the cast of over 35 artists gathered to rehearse in costumes for what will be a semi-theatrical show featuring the live band, soloists and the chorus. The shows will take place in September 2019 in Norway. Tickets are available now! 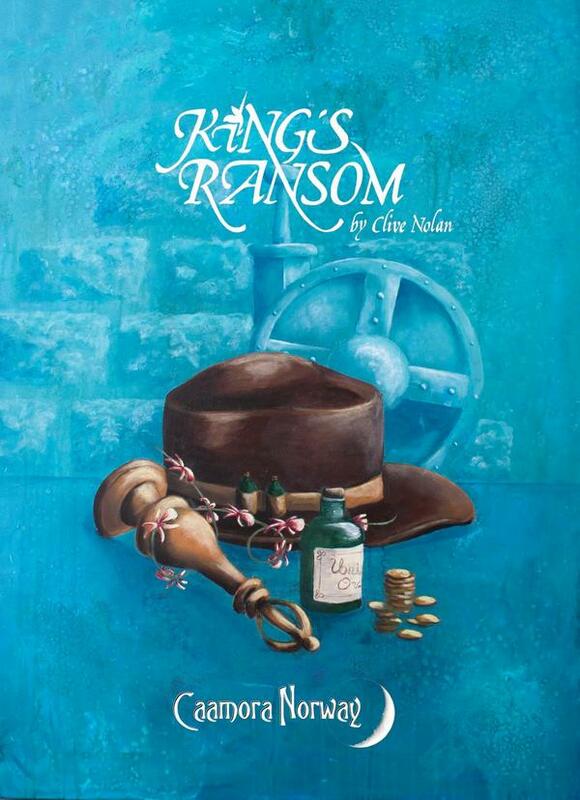 The Caamora Norway production of Clive Nolan's third musical “King’s Ransom” will be performed on September 20th, 21st and 22nd, 2019. 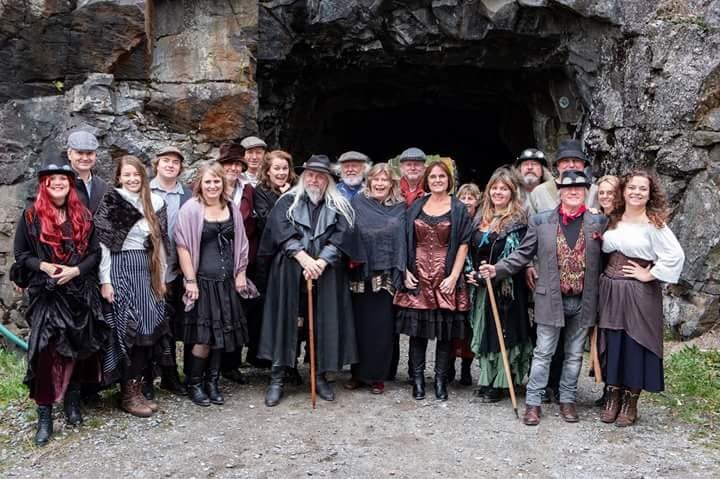 This is the second production undertaken by the Norwegian branch of Caamora, following successful semi-theatrical performances of “Alchemy” that took place in May 2017. The audiences of the Sætre, Ås and Oslo shows will have a chance to see many leading Caamora Norway actors returning to the stage in “King’s Ransom”, including Elisabeth Ellingsen, Harriet Müller-Tyl, Hans Andreas Brandal, Christine Ekeberg and others. 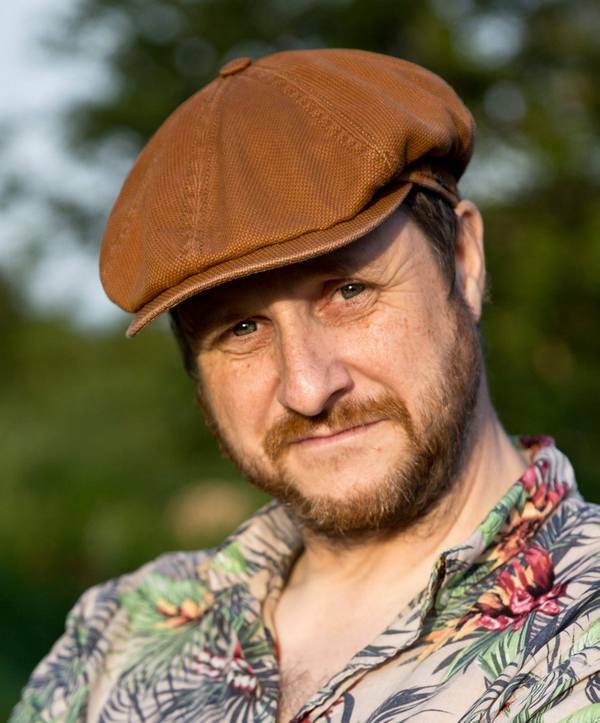 The cast will also feature some of the original UK artists including Clive himself as well as Chris Lewis and Ross Andrews. The instrumental side of the show will be taken care of by the musicians from the Norwegian progressive rock band, The Windmill. 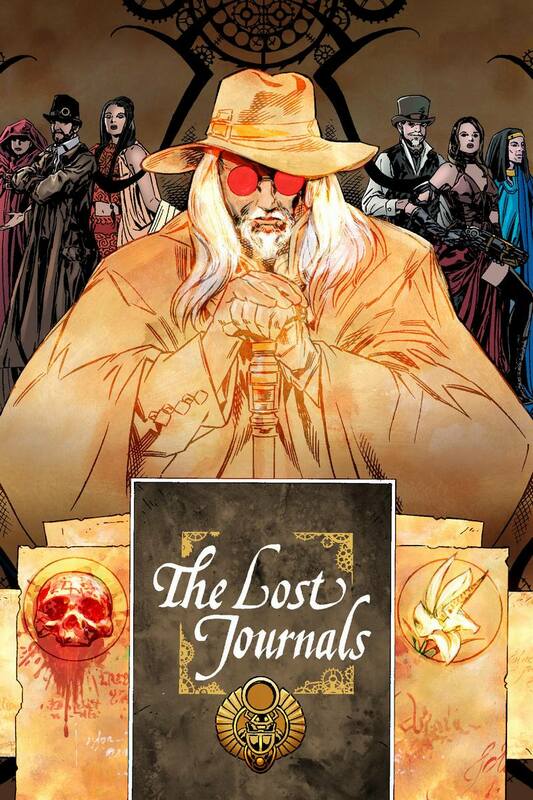 Names, roles and more details will be revealed soon. 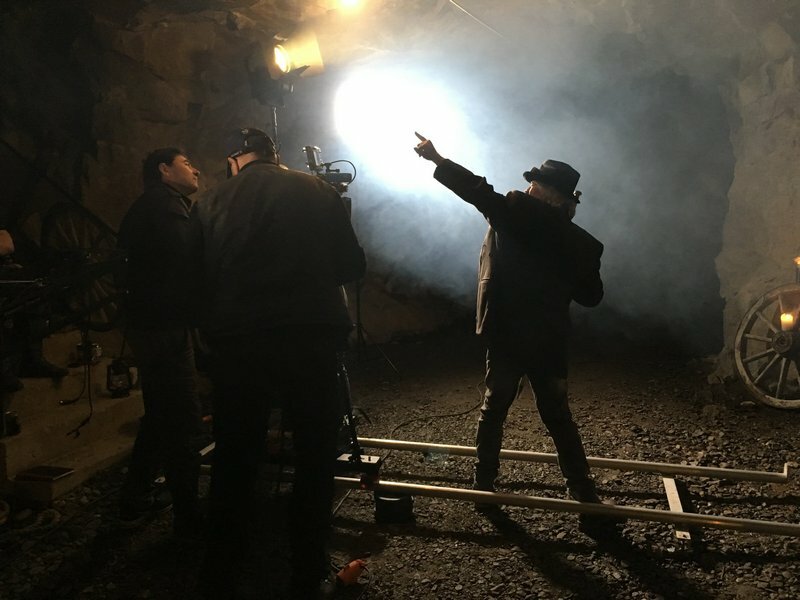 Clive Nolan: “Filming is now wrapped on the "Salvation has a Name" promo video... as directed by Neil Monaghan with the incredible crew, Dag W. Grundseth, Olav Urdahl and Ben Pickering. A massive thanks to all, you wonderful people, from Caamora Norway - you all looked after us brilliantly and worked so hard! Fantastic job guys! 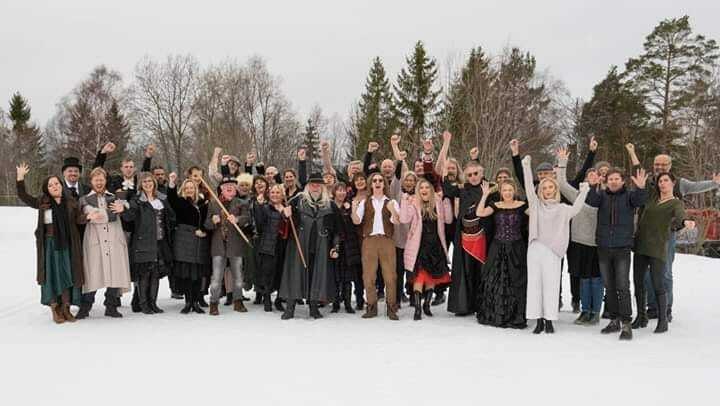 The new video clip for “Salvation Has A Name" from Clive Nolan's musical "King's Ransom", directed by Neil Monaghan of Suspicious Character Films and filmed in Norway in cooperation with Caamora Norway will be coming soon! 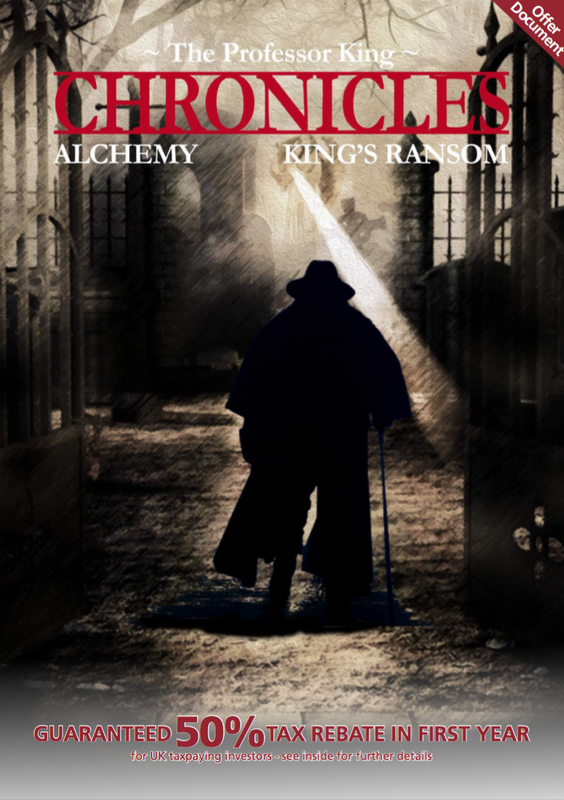 Please visit the Professor King Chronicles website to keep up to date with developments, and remember... we need your support in bringing "Alchemy" and "King's Ransom” to the cinema! 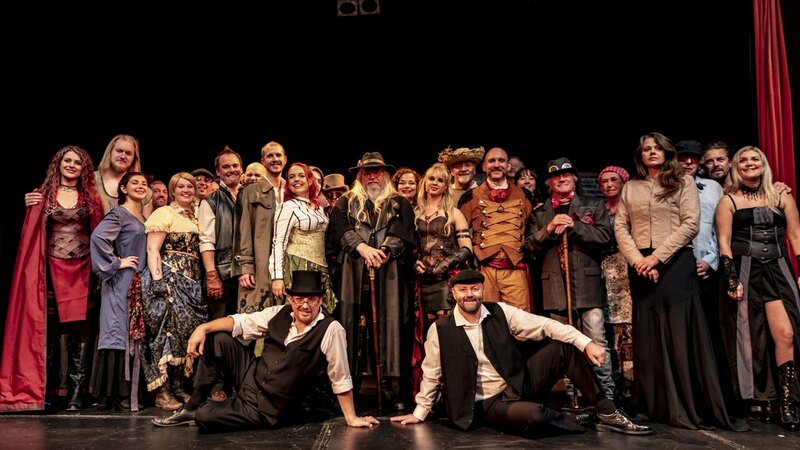 On September 8th the Cheltenham Playhouse saw the return of Clive Nolan and his troupe, The Caamora Theatre Company. The 2018 rendition of Clive’s third musical, “King’s Ransom”, was performed to commemorate the life and work of Clive’s long-time friend and the show’s original director, Ian Baldwin. Clive Nolan: "This year’s performance of “King's Ransom” saw everyone up their game yet again. Following the excellent directorial structure provided by the omnipresent Ian Baldwin, with a few terrific tweaks thanks to Ross Andrews’ supervisory role, we had our best show yet. I hope Ian would be very proud! I’m not going to start writing lists of ‘thank yous’ or ‘special mentions’. It’s simple… The cast, the crew and the audience were, without exception, brilliant… thank you so much for making this very emotional tribute to Ian such a memorable one." Clive Nolan: “It’s movie time guys! As you may know, I have signed both ‘Alchemy' and ‘King’s Ransom’ to a film company with a view to bringing these musicals to the silver screen. As always for such a project, we need your support. Remember, we are not attempting to ‘fundraise' here, we are looking for investors. If you put money in, we have every hope and intention that you will get it back, with due rewards. We have just returned from Norway where we were scouting for possible locations for both of the movies. It’s important that we keep moving forward with the project while we work on raising the budget. I’m glad to say we have found a whole load of great locations, which will hopefully feature in these films! 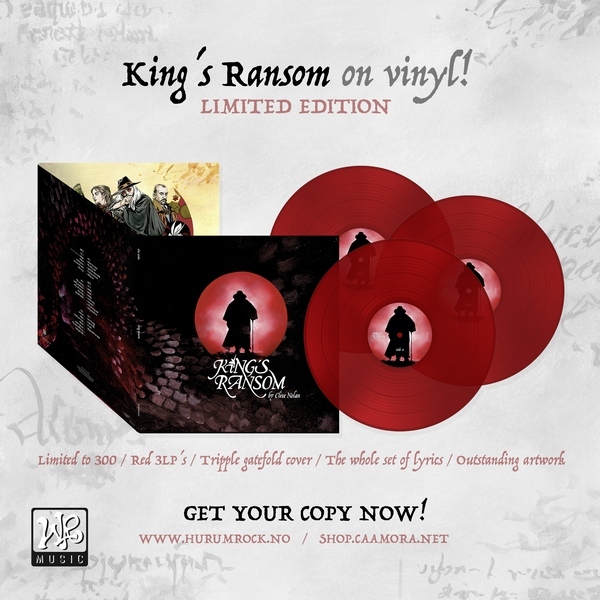 "King's Ransom" 2018 Theatre show "For Ian"
"King's Ransom" is out now!